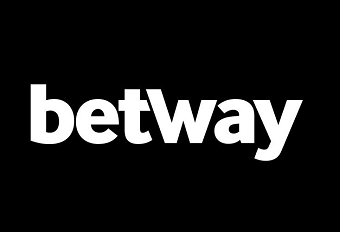 Betway is more than an online casino. This Betway casino review will only focus on casino gaming and the online poker. However, it is also worth knowing that there is also bingo and sports betting available through the same company. Betway online casino games are actually offered across three different sites. There is Betway Poker, Betway Casino and Betway Vegas. When providing a Betway casino review you shouldn’t ignore the fact that Betway are more interested in its sports betting than its casino. The unique selling point for the site is its focus on esport betting. However, even though it is not the main ambition of the company, this online casino still offers a full suite of games and a well-developed poker playing site. The site is routinely audited by eCogra and it is licensed with the UK Gambling Commission. However, at the time of writing there have been repoted a large number of complaints against the site for unresolved customer complaints. Most of these complaints seem to relate to the unreasonable withholding of winnings. There is, however, 24/7 support via live chat to help resolve such issues quickly – should you need to. What might be confusing for the user is the choice – what is the difference between the casino site and the Vegas site, for instance? How come you can play live dealer games on the casino site – and there is a poker specific site. The truth is that there is a lot of overlap between the three casino-based sites. A lot of the casino games you play on the main site can also be played on Betway Vegas – in fact there is a significant overlap between the two. The Vegas site has some additional slots and table games that you won’t find on the online casino site. As players, writing this Betway gaming review, we feel the main reason we would use this site is due to the fact that the expected return-to-players on slots is over 97% – which is one of the highest in the sector and grabs the attention. The site is professional and the interface intuitive. The games work well on the site and on a mobile device. Not surprising, for a large company such as Betway, they have invested a lot of time in branding and in the usability of the website. Betway casino reviews from gamblers themselves have gone so far as to say the experience is sleek. There are more gaming options if you are happy to download the software – rather than play in the browser using Flash. The downloaded slots, for instance, offer free and bonus spins, which are not offered on the browser or mobile app. Betway try to cater for every type of gambler in its range of sites. It creates sites that are specialist to the needs of those playing. This is clear in the specific site aimed at the poker player – separating this from its main online casino site. This Betway casino review will focus on the casino site – mostly because there is enough to focus on with this one site – never mind trying to capture three. What do we mean? Well there are 10 versions of roulette, 30 blackjack games, 14 table games, 218 video slots and 80 three reel slots of the site. In short, this is a site where you will enjoy a variety of gaming experience! The games are developed by Microgaming – with all the games on the site coming from this main supplier. There is a constant drip of new games on the site – so the numbers of games to experience will change rapidly. There is also the option of live dealer games – in fact, there is a whole live casino section that can be accessed from the homepage. It is possible to play live multiplayer baccarat, blackjack and more – as well as play alone against the house. Whether quantity equates to quality is a different matter. There are a lot of well known games on the site that offer large and some progressive jackpots. There are also some unique options – such as multiplayer slots that you are unlikely to find in any other places. They also offer a great tournament experience – which ups the levels of the sense of community on the site. The Betway welcome bonus is something that is definitely worth dwelling on. The Betway welcome bonus could land you up to a £1000 if you are a new customer. Remember the aim of most online casinos is to get new customers first – but then to maintain your loyalty to the site. This means the Betway welcome bonus extends over the first three deposits. You receive 100% of your first deposit up to £250; 25% of your second deposit up to £250 and up to 50% of your third deposit, up to £500. There are terms and conditions attached to the Betway welcome bonus – as there would be for most sites. The biggest of these terms is that you must make the three deposits within 7 days – also there is a 50x playthrough requirement – which is pretty huge. To get your £1000 in hard cash you would have to wager £50k. Therefore, the Betway welcome bonus sounds amazing on face value – but you would have to be a serious gambler – with serious spare cash lying around – to make use of its full potential. Microgaming, Betway’s supplier of online gaming experience on the casino, is one of the oldest iGaming suppliers. It is a company founded in 1994 – and its longevity is a sign of its success – as well as its skill. For this reason, our Betway casino review recommends trying out the site – if only for a quality online casino gaming experience.